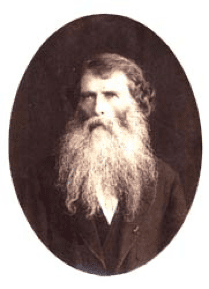 Charles Naudin was a French botanist who studied hybridization and heredity over the course of his long life. 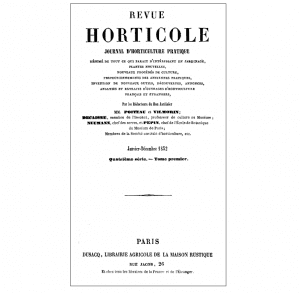 In 1852, he published a paper on evolution entitled “Considérations philosophique sur l’espèce et la variété” (Philosophical considerations on species and varieties) in Revue Horticole. In this important paper, Naudin writes that artificial selection is essentially based upon nature’s process of selection and that the line between species and varieties is artificial. In addition, Naudin wrote of deep time and the progressive nature of the fossil record, and critically, that life should be classified based on genealogy. Even some of Naudin’s French contemporaries agreed with Darwin. The French biologist Jean Louis Armand de Quatrefages called Naudin’s conception closer to that of his French countrymen Buffon, Lamarck, and Bory de Saint Vincent; and wrote that Naudin had failed to penetrate the crux of the species problem, in contradistinction to Darwin. Quatrefages (1870) wrote that Naudin’s work neglected to explain the actual process by which nature selected new variations generated in the hereditary process and left open the question of whether selection was driven by “an intelligent nature, acting with a view to a determined goal” or the directionless “natural selection” postulated by Darwin. What appears to be evident in this passage is that the process of selecting in nature is likened to the process of domestication with a guiding hand and a goal (“nature, like us, it wanted to form races to fit them to its needs”). This distinctly teleological process is radically different from what Darwin and Wallace (at least Wallace until the mid-1860s) would propose as an unguided mechanism of natural selection. No doubt Naudin’s extensive horticultural and plant-breeding experience (he crossed approximately 2,000 cucurbit varieties in an effort to clarify familial relationships) led to his conclusion that the relationships among species were best viewed as a branching tree. Furthermore, he proposed that this image worked because the relationships were real – all life could be considered and grouped into genealogical communities of descent. Here, his view of life undoubtedly overlaps with Darwin’s. Beyond his contributions to evolutionary thought, Naudin’s work (although perhaps unwittingly) played a role in the development of French art. In 1905, the French Fauvist artist Henri Matisse moved to the South of France, seeking consolation from emotional and mental distress. He visited Naudin’s Villa Palma gardens and the color and form there appear to have so inspired him that Naudin’s olive trees and palms, among other plants, are featured in Matisse’s stunning paintings of Collioure, France. For a brief treatment of the life and intellectual contributions of Charles Naudin, click here.